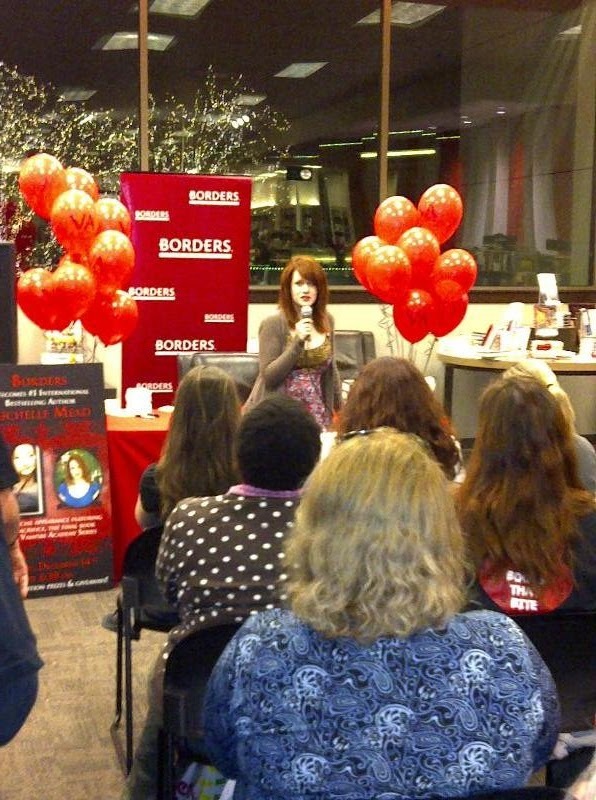 Tonight I went to the Richelle Mead Book Signing in Allen, TX. 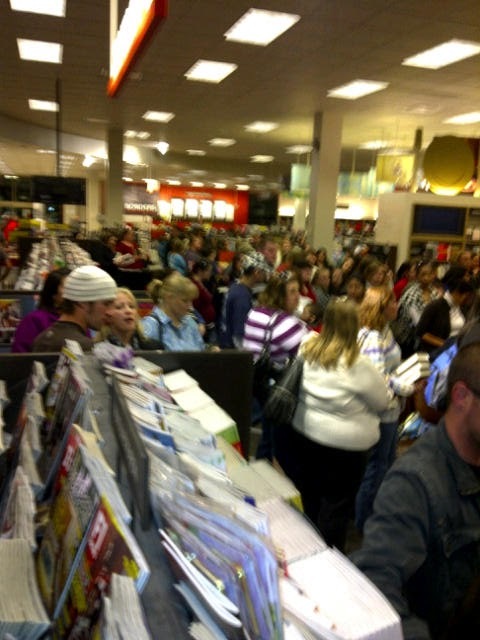 This is just part of the crowd waiting to see her! 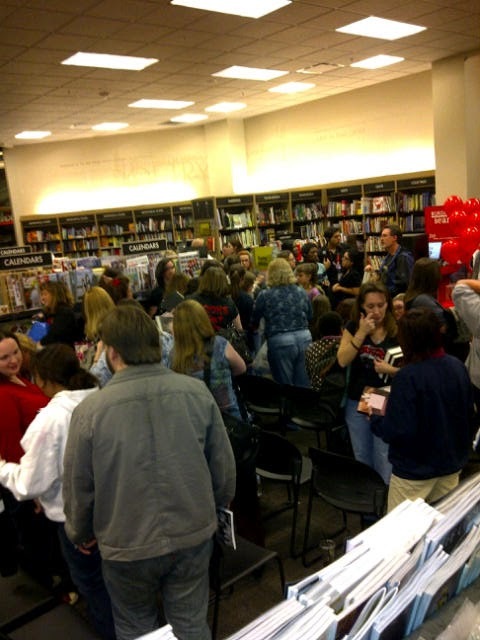 She had a great turn out! 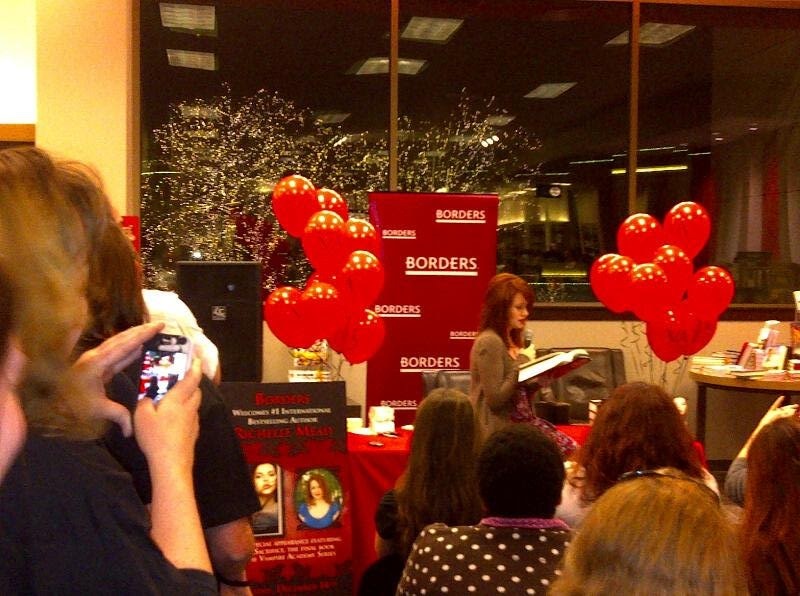 She did a reading from “The Keepers” section of the book! It was a fun bit to read aloud! She always knows how a series will end! Unclear on how many more books in the Eugenie series but at least one more. 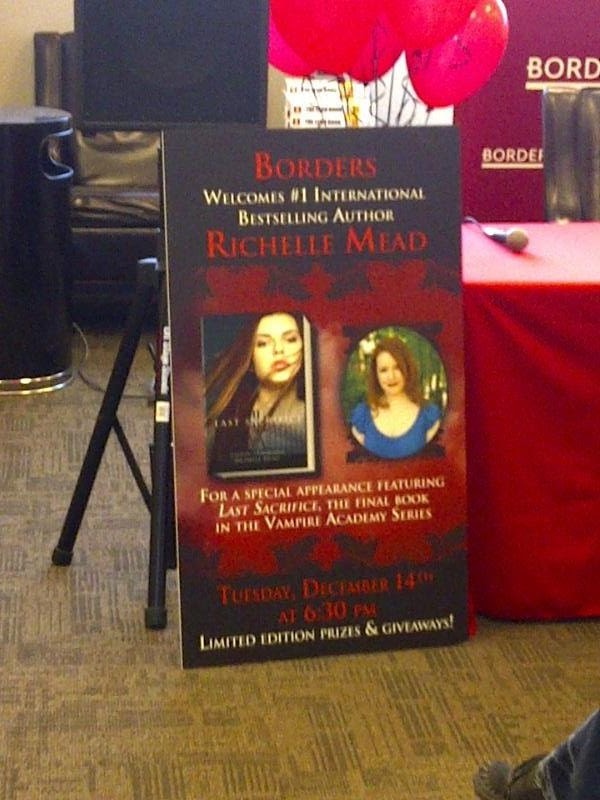 The last Succubus book and Bloodlines will be releasing close to each other…probably next August! It was a fun night! I did not get any books signed because I have to work in the morning. However, it was all around a great time! She is fun, personable, and have to love her willingness to travel to meet fans. PS. Tomorrow my Waiting on Wednesday is going to feature the 3rd book in the Dark Swan Series (Eugenie)…I love it and it is hitting late Feb or early March!